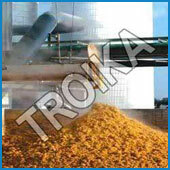 Troika is one of India's distinguished company that specializes in the filed of Oil & Fat technology. We have grown from strength to strength through our commitment to quality. Being an ISO Certified Company, we have empowered our vision through quality. Our quality and technology initiatives have resulted in a structured management and production process. In the Service of Oil Industry Since 1971. Troika design makes Solvent Extraction Plant versatile, flexible in operation rugged in construction, operator friendly and has low utility consumption. 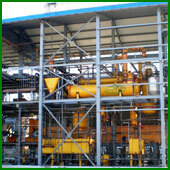 Capable to process all kinds of oil seeds and prepressed cakes. More details on request. Whether you are looking out for a batch process or continous process. Physical Refining or Chemical Refining, small capacity or large capacity, Troika offers vegetable oil refining plant designed for your specific need. More details on request. 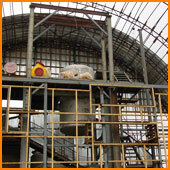 We have designed simple and robust plant for the manufacture of Cattle Feed / Animal Feed / Chicken Feed. 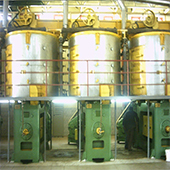 We offer well-designed plant layouts, trouble free maintenance, ease of operation, low utility consumption which makes our oil mill a viable proposition. Site Maintained by Dotcom Services(India) Pvt. Ltd.
"TROIKA is in multination Spread over 27 Countries covering more than 270 projects"